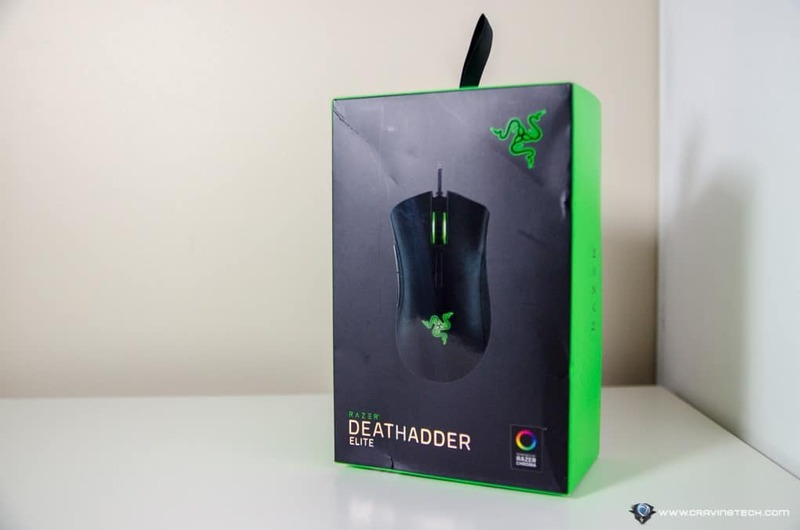 Razer DeathAdder Elite Review – I was in a journey to pick the best gaming mouse in 2016 for the past months and I think I’ve found it in Razer’s latest gaming mouse, the DeathAdder Elite. SteelSeries Rival 700, for example, is equipped with the popular PixArt PMW3360 optical sensor and a really cool tactile alert, but the mouse is quite heavy. I love how lightweight Razer Abyssus V2 is but it does not have side buttons and equipped with only a not-so-bad sensor. 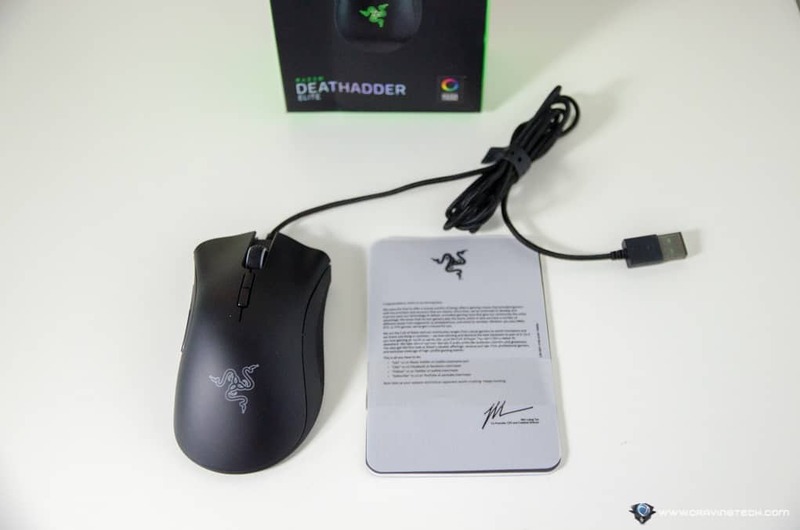 Razer DeathAdder Elite, on the other hand, does not have lots of bells and whistles on the outside, but focuses on the highest gaming performance possible and can truly be called “the eSports Gaming Mouse”. 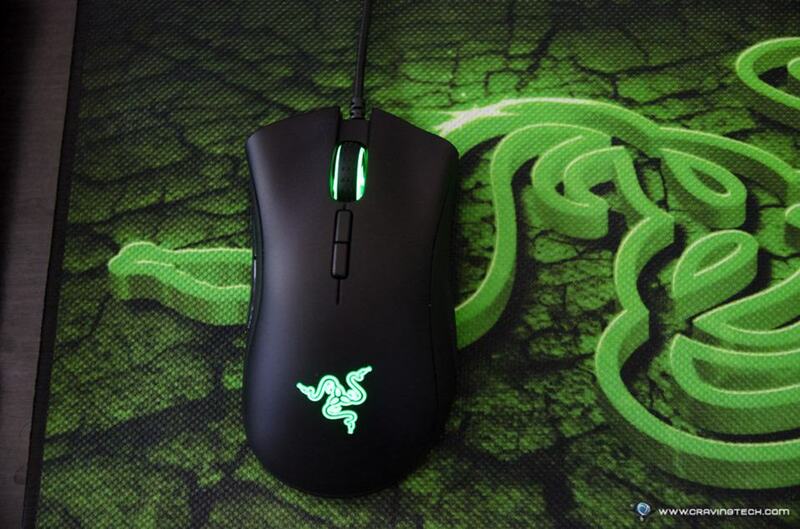 To owners of the Razer DeathAdder and Razer Mamba Chroma, the DeathAdder Elite does not look that much different. However, the monstrosity lies within. But let’s assume that you don’t own a Razer DeathAdder or Mamba. Let’s have a look what the mouse has to offer. Razer DeathAdder Elite looks good in design and comes with the iconic ergonomics that many Razer fans are happy with. I was happy with the Abyssus v2 (small hands, fingertip gamer here) but somehow the bigger DeathAdder Elite feels as comfortable. I thought the Mamba was a little bit too big for me and my grip too, but for some reason I really love DeathAdder Elite. This is probably because the DeathAdder Elite is much lighter (105 grams) compared to Mamba’s 125 grams. Sure, it’s not a “<100g gaming mouse” but I don’t feel it heavy at all. It’s just perfect. 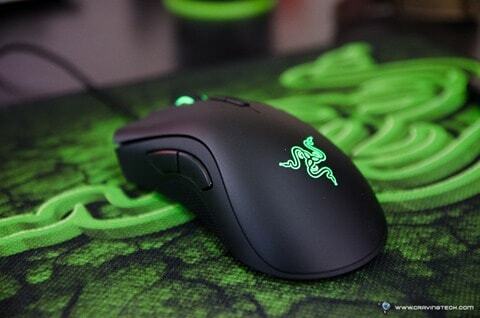 Razer DeathAdder Elite is designed for the right handed and has good ergonomics. The textured rubber side grips are great for the touch and also non-slippery. 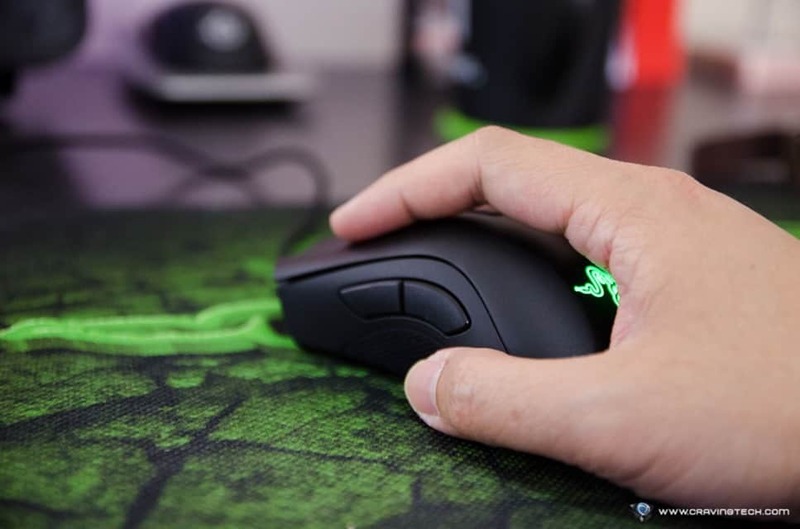 As I like to lift my hands frequently with the mouse when gaming, I find that the mouse is always grippy and comfortable to hold and glide on my Razer Goliathus. 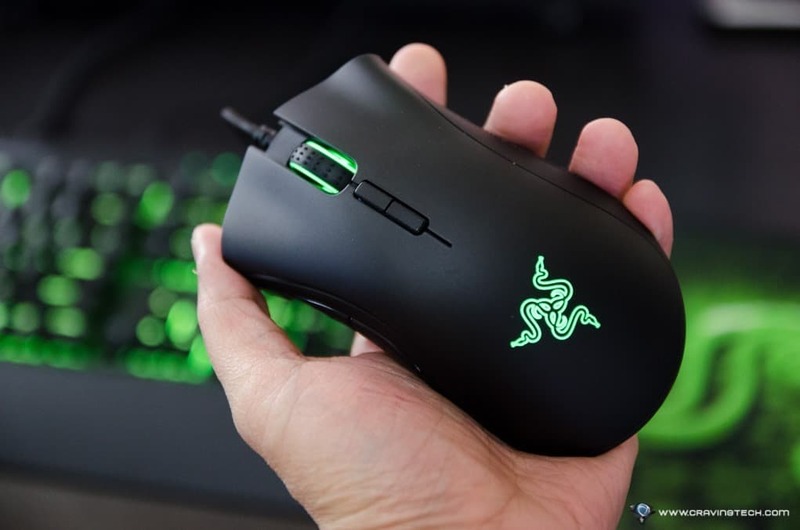 Razer’s new optical sensor that supports 16,000DPI and 450 IPS (Inches Per Second) tracking – a really high count compared to many other gaming mouse out there. According to Razer, their new eSports grade optical sensor offers a resolution accuracy of 99.4%. They also call it the most advanced optical sensor to date. 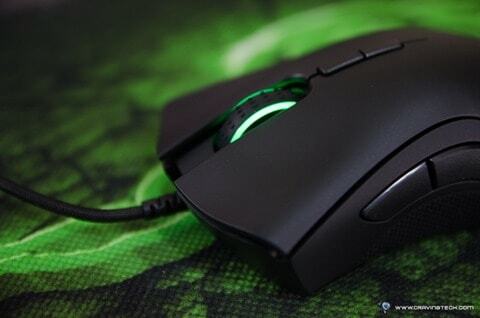 Razer’s new mechanical mouse switches for a faster response time and higher durability of up to 50 million clicks. 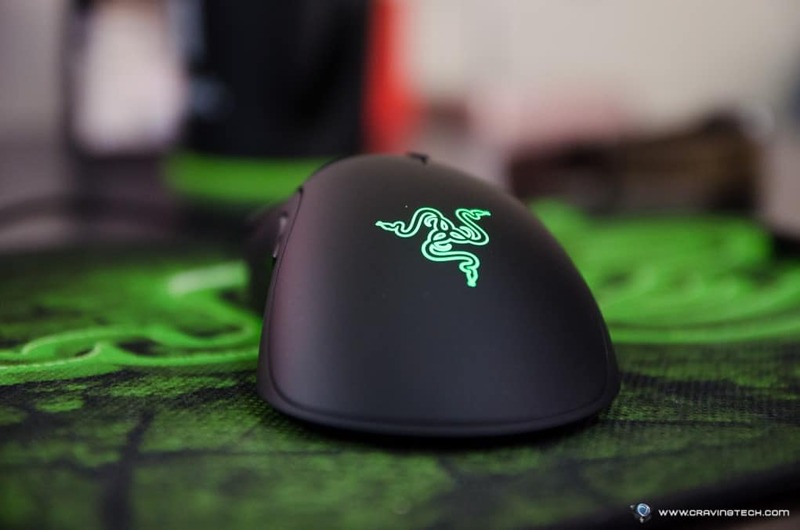 Apart from those, the DeathAdder Elite is also powered by Razer Chroma lighting effects. The lighting colours can be changed via Razer Synapse software and can be made in-sync with your other Chroma devices like the Razer BlackWidow Chroma keyboard, for example. 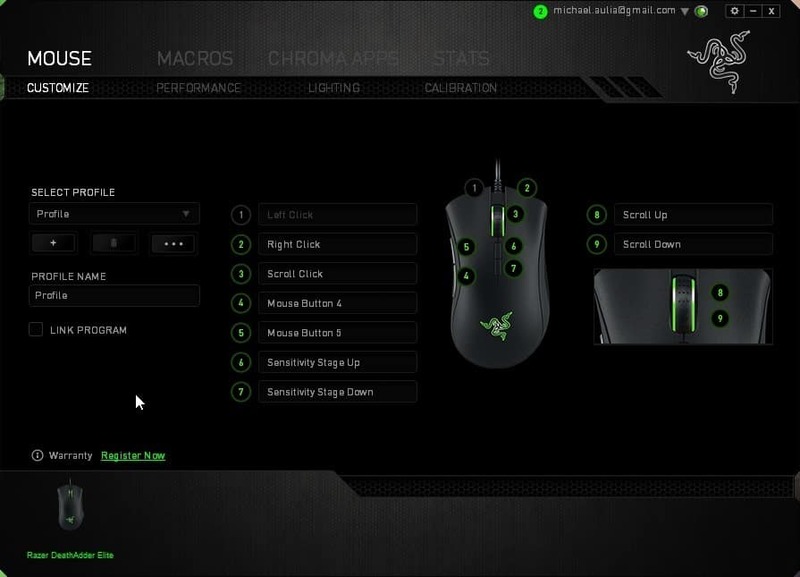 The usual buttons are there, and I also like how Razer’s mouse gives you an option to increase or decrease the DPI (using 2 buttons), rather than a one-button DPI switch. But what makes the DeathAdder Elite shine is really the performance of the mouse when you game. As I really get myself into playing Blizzard’s Overwatch in competitive mode, I swear by this mouse. It really is good. All my aims are accurate the way I want my cursor to be and “Flick-Shotting” is as easy as pie. While playing McCree with the DeathAdder Elite, I could easily make accurate shots over and over, thanks to its highly accurate sensor, comfort, and lightweight design. 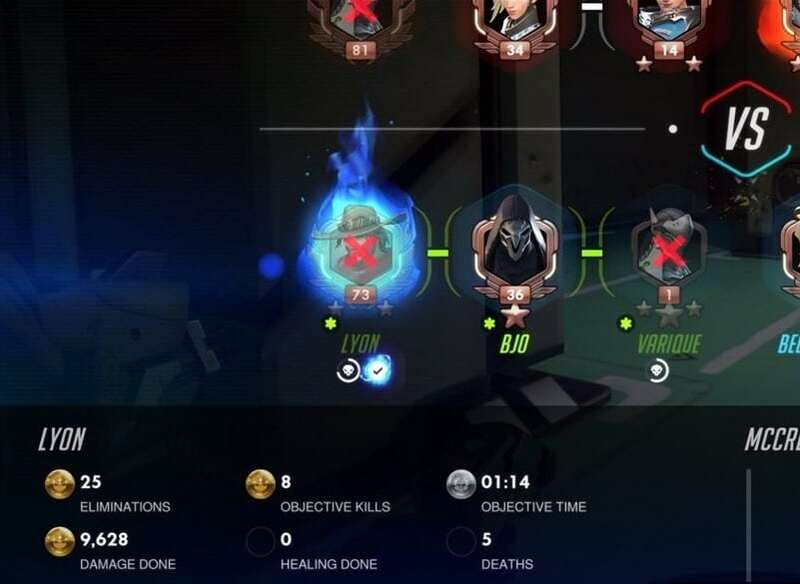 It really makes playing online competitive first person shooter a breeze. Now, I’m not saying that you’ll become good if you upgrade to this mouse, but it will complement the skill that you already have and take it further. There are not much to talk about with the Razer DeathAdder Elite in terms of looks or a “never before seen feature”. We’ve seen the design before and it cannot hover, or make you a sandwich. But Razer is focusing on the technology inside and in a real competitive gaming environment, it is what matters the most. Razer DeathAdder Elite has simply become my most favourite gaming mouse to date and will still be in the months to come. 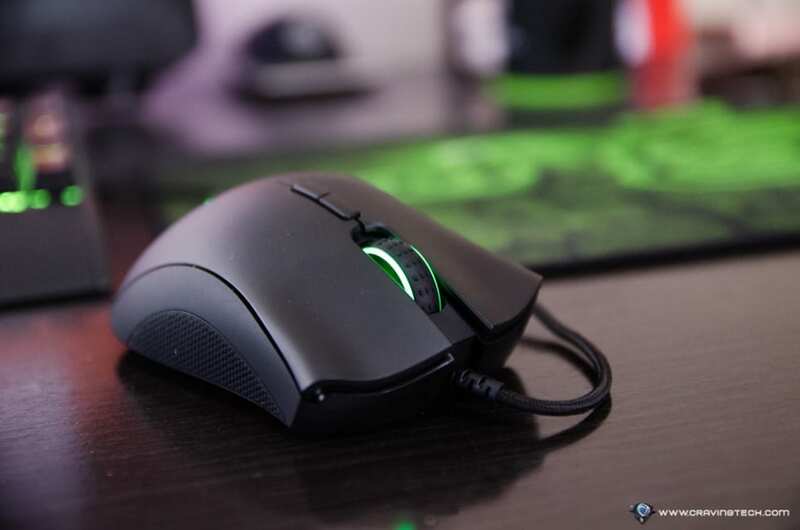 Its sensor is really accurate (goes to where I want my cursor to be), has a lightweight design, comfortable to hold and use for hours, and simply has the best feel when I game. 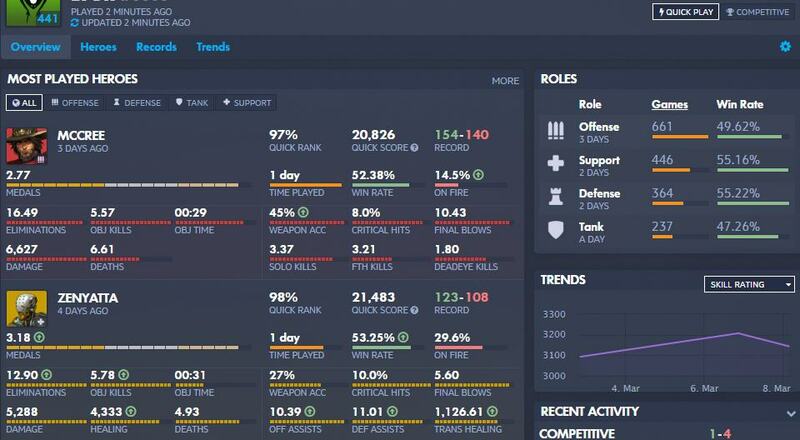 Bring it on, Overwatch Competitive Season 3! No lag, no gimmicks. 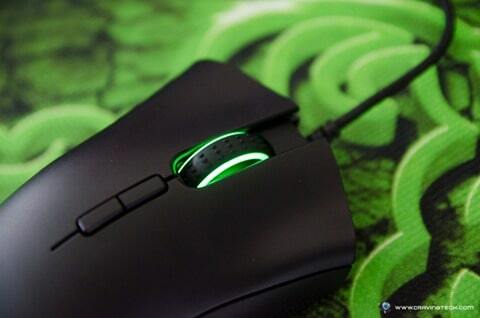 Just a pure elite gaming mouse for serious gamers with highly accurate sensor and serious performance.